For Sale: 119 Woodycrest St.
What does it mean to be a steward? In its simplest form, stewardship is to maintain and preserve something in its existing condition. Celebrating 10 years as a nonprofit, Centre County Housing and Land Trust strengthens communities through the development and stewardship of permanently affordable homes for people of low to moderate income. As a community land trust, CCHLT belongs to a nationwide network of more than 250 community land trusts, including one in the State College borough. Typically, our model focuses on CCHLT maintaining ownership of land while our homeowners own the improvements on the land, their homes. This assists in creating an equitable purchase price and ensures that the homes stay affordable for generations with CCHLT’s stewardship. Having affordable housing payments each month in proportion to one’s income makes a difference to a homeowner’s quality of life, but that is not all that CCHLT offers to a homeowner. Holistically, CCHLT works to empower homeowners to be prepared and successful through education and budget counseling before and after purchasing their home. 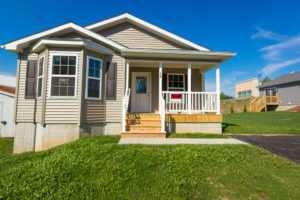 If you are interested in purchasing a home or know someone who is, please visit our website, cchlt.org, or check out our homes for sale on Woodycrest Street. These newly constructed homes boast three bedrooms, two full bathrooms with an open floor plan and more than 1,200 square feet of finished living space. There is also plenty of storage space, from the cabinetry and pantry in the kitchen to the full, unfinished basement. Located near public transportation and numerous retail options, your daily life would be centered in the community and be easily accessible to your workplace. Visit our website to see if you might qualify for a home stewarded by CCHLT. This strong community makes the work of CCHLT possible. You support us financially, you give your time to volunteer, you promote our nonprofit in person and on social media, you participate in Centre Gives on May 9 and 10, and you make the difference. Thank you for equipping CCHLT to serve as a steward and strengthen all of our homes, this community. For more information, visit www.cchlt.org, www.facebook.com/CCHLT, or email director@cchlt.org. Follow CCHLT on Twitter and Instagram @CentreCountyHLT. Thank you to the Centre Daily Times for publishing the article from the CCCHS Helping Hands column!